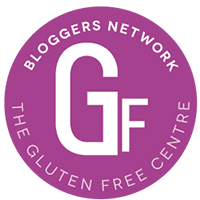 I was really pleased to be asked to join the Gluten Free Bloggers Network. This is run by The Gluten Free Centre, who advise on gluten free products and services in the UK, and are bringing together a number of UK based gluten free blogs. I’ve had to work out how to get their badge on my home page, which I think I’ve sorted, and with only a few growls at the screen. I’ve also written them a short piece about how I found out I was coeliac, which you can read here. Tags: Gluten Free Bloggers Network, gluten free blogs, Gluten Free Centre. Bookmark the permalink.